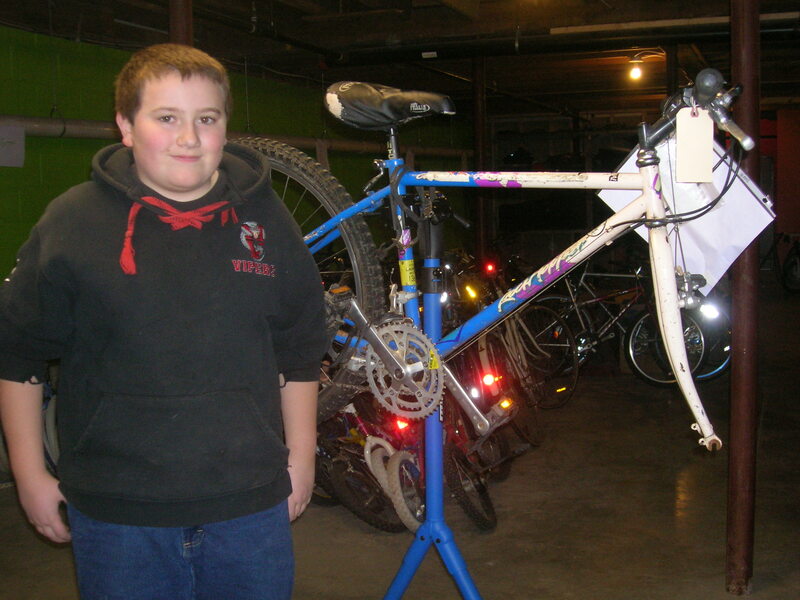 Volunteer of the Month, Zack W.
The Nasson Community Bicycle Center would like to thank Zack W. for his work with youth in our afterschool bicycle program. 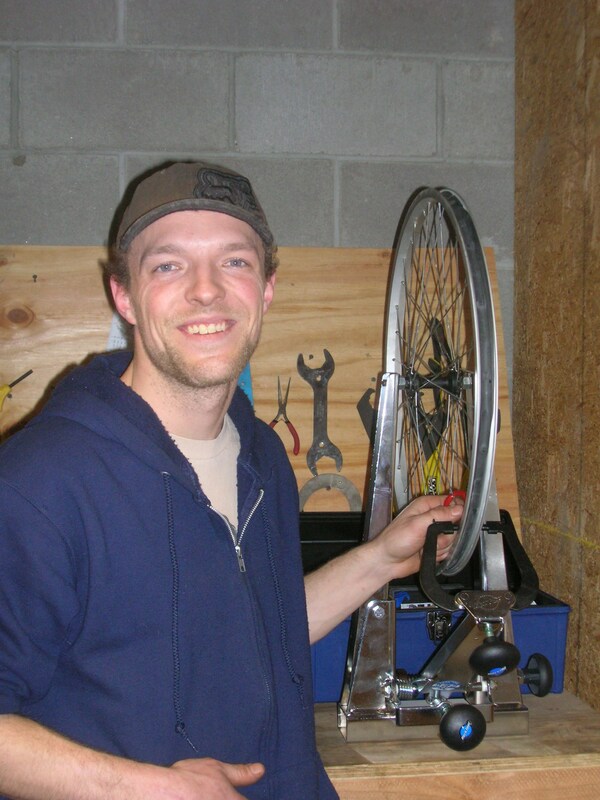 Zack has volunteered more than 70 hours at the NCBC, mentoring youth and guiding them in bicycle mechanics. His patient demeanor and friendly smile brighten up the shop, and our kids look forward to his arrival each day. 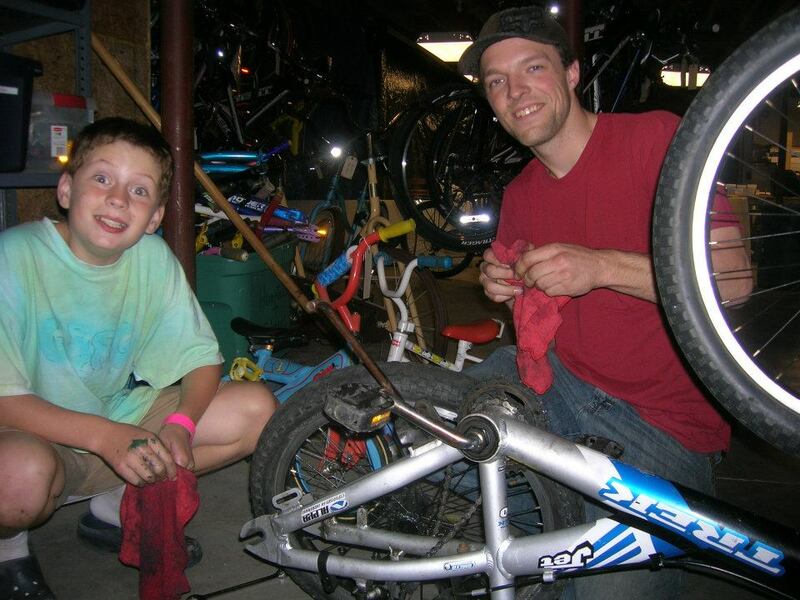 Zack is a true mentor who teaches by example, encourages, and empowers youth to use creativity and problem-solving in the bike shop. Zack, thank you for making the program a great place to be! Check out this awesome news! The youth who come through our Bicycle Center’s doors sift through the stacks of used bicycles, each looking for that unique set of wheels that will take them to the skate park, to school, or out on the trails. Some of our students spend several afternoons repairing a bicycle to donate before fixing a bicycle to keep for themselves. One such student, after having put the finishing touches on a blue and chrome Huffy Rockit, smiled from ear to ear when he pulled his own bicycle out of the stack. “To the new owner of this bike – I have loved this bike and am sad to give it up. It has taken me on so many great rides to incredible places – Jackson Hole Wyoming, real mountain biking in the Tetons, the Rockies, up to 10,000 feet above sea level in the Snowy Range, WY to Slick Rock in Moab, Utah (the best mountain bike trail in the world!) Canyonlands of Utah, California, New Mexico, Arizona, and then more great rides in Maine and New Hampshire. I hope you have as much fun on this bike as I did. Each of the donated bicycles at the Bicycle Center has its own unique story, but few come with the story attached. For this lucky student, his bicycle’s story made the refurbishing process that much more meaningful. Think about your past bicycling experiences. Where has your bicycle been that makes it special? What legacy will its next rider inherit?